Taco Marine. 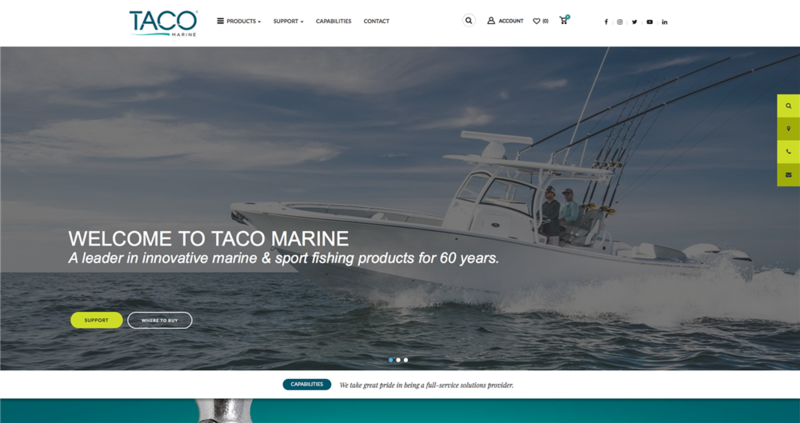 Announcing the New tacomarine.com – A More User-Friendly Site with Added Features! 2019 is an exciting year at TACO! 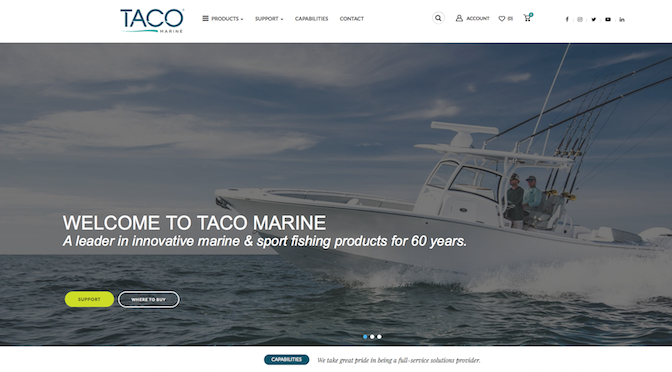 In addition to celebrating our 60th anniversary, we’ve proudly launched the new tacomarine.com. This site allows a more user-friendly experience for our valued customers and business partners. Our totally revamped site showcases our full product line and is loaded with many new features! 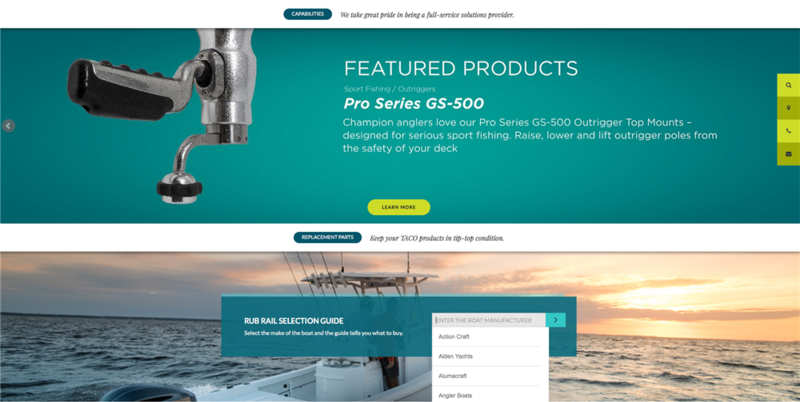 The new homepage features our latest TACO product innovations, such as our line of Pro Series Grand Slam Outrigger systems and Vinyl Rub Rail Kits. Also on the homepage is our new and improved OEM Rub Rail Replacement Guide. 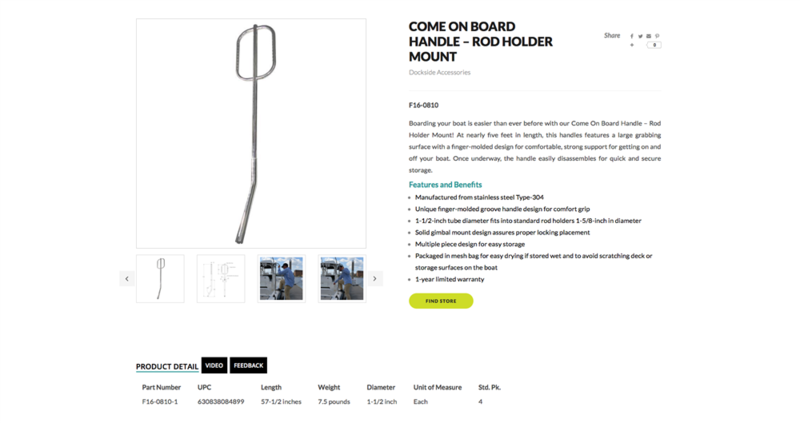 Simply input the boat manufacturer and you’ll be taken to a page with all the Rub Rail options that best fit your needs. The homepage also features buttons to our “Where to Buy” section for retail, wholesale and online. For retail and wholesale, type your address and you’ll find a host of locations near you for all your TACO needs. Want to buy online instead? Then follow the link to “online locations” for an array of retailers who carry the latest and greatest TACO. Beginning with “PRODUCTS,” our drop down menu includes New Products, Best Sellers and our expanded category offerings. Our main navigation also features “SUPPORT” with instruction manuals, videos, product knowledge, warranty, literature and technical support for product help. The main navigation includes a “CAPABILITIES” page – providing an overview on our product development and engineering, processes, warehousing and inventory management, and distribution. Our top navigation wouldn’t be complete without an easy-to-access “CONTACT” area. We want to hear from our customers and partners. Whether it’s a new video idea or product-specific feedback, we made contacting us simple because we value our customer input. 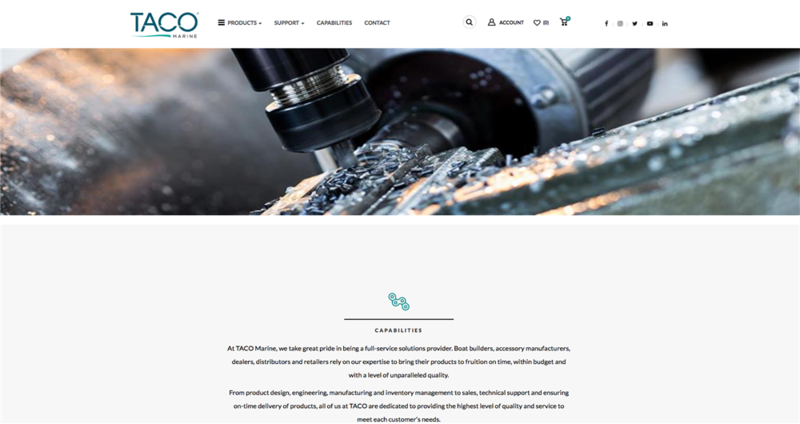 When surfing our various product pages, in addition to a crisp, clean look and feel, you’ll also discover a range of new product images, drawings, specification data and videos. Additionally, we are continuously creating new and exciting content across all our core product lines so our visitors will have the most up-to-date and compelling information possible. Our new site includes an About section, Blog, Awards, Events and Rebates, all located in the footer. Rebates are now easier than ever to submit. Simply fill out the form, include the product UPC code and upload a photo of the purchase receipt to receive money back on eligible rebates throughout the year. Our new Website is fully integrated with buttons to all of our social media platforms, including Facebook, Instagram, YouTube, Twitter, LinkedIn and the ability to easily subscribe to our newsletter. We’ve integrated social media into our daily world at TACO to keep everyone up-to-date on TACO news and activities, from new product announcements and the latest how-to videos to our community and charitable involvement. We are very excited about our new site and look forward to receiving your feedback. Please send us a message through our Contact form online. From all of us at TACO Marine, thank you for your continued support and we wish you all the best for a prosperous and successful 2019! What brand or make boat is that in the picture on your new home page? ?